As the daylight hours dwindle, the last of autumn’s leaves disappear and the gloomier winter weather sets in, it’s not unusual to experience low mood and decreased energy. The good news is, that many of the factors contributing to the winter blues are reasonably easy to combat, and with a little effort you can stay on top of things this winter. Once June ticks over, it’s easy to feel a little “blah” and a cursory glance around your fellow public transport commuters or folks in line at the post office only confirms it. Although winters here in Melbourne aren’t quite as extreme as they are in other parts of the world, it’s still pretty common to notice seasonal changes in mood and energy during the winter months, so if you’re feeling a little flat then rest assured that it’s all pretty natural. 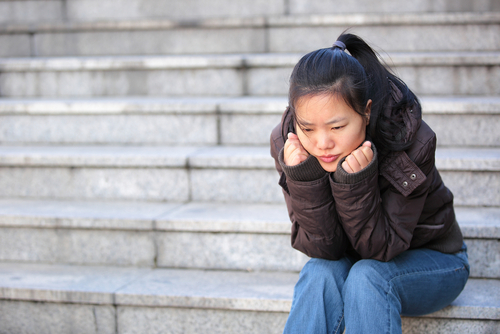 As with many other mood disorders, women seem to be more susceptible to seasonal mood changes. Symptoms might be mild and even a little difficult to pinpoint but usually include fatigue/low energy, mild depression, craving for carbohydrates, lack of motivation, difficulty concentrating and loss of interest in work or other activities. We spend less time outdoors. Grey, wet days without sunshine are a major mood killer, and wintry weather also means we’re more likely to avoid heading outside. The upshot is we get less of that magical mood-stabilising, feelgood hormone serotonin and less vitamin D, which is essential for strong bones, muscles and overall health. We’re generally less active. It’s much easier to slip into sedentary habits during the winter months. Hiding under the doona a little longer in the mornings, cosying up on the couch after work, driving the car instead of walking or cycling – this all adds up to a pretty action-less existence unless we really work at it. We all know that regular exercise plays a huge part in boosting mental health and general wellbeing, so skipping this bit alone can be enough to bring our mood down. We crave carbs, alcohol and sweet things. When it’s cold we seek comfort, and many of our favourite comfort foods are rich, stodgy or carb- and sugar-laden. The combination of increased stodge and decreased activity usually means one thing – weight gain. The cold weather also triggers “hibernation metabolism” and the desire to eat more food, which only adds to the problem. We have less energy. Humans are a bit like bears, we like to go into our caves and hibernate in the wintertime. And while it is good to rest, go slower and enjoy the cosy comforts of winter, the combination of less sunlight, decreased activity and an increase in rich foods can sometimes just make us even more sleepy. Unlike clinical depression, seasonal mood changes are generally less severe and shorter-term in duration and they usually sort themselves out once the weather starts to improve. Stay active. Regular aerobic exercise is your best friend at this time of the year. Not only will it boost your energy, keep you warm and stave off the excess pounds, but exercise also releases lots of serotonin, the body’s feel-good hormone. If you really, truly despise being out in the cold and wet then maybe think about hiring an exercise bike or joining a dance class, gym, indoor pool or other indoor fitness class. That way, the unpredictable weather is less likely to disrupt your routine or create those inevitable excuses. Get some rays. If a trip to Fiji isn’t quite on the agenda then make sure that you make the most of those rare moments of winter sunshine and just go outside and stand in the sun for a few minutes. Roll up your sleeves so that your skin is exposed (you’ll get more vitamin D that way), take a few nice deep breaths and truly savour the moment. Eat well and nourish yourself. Apart from the winter blues, we’re also likely to be battling colds and flu’s at this time of the year so proper diet and nutrition are even more important to maintain. Nourishing, veggie-packed soups and stews are a great way to boost immunity and are always really satisfying. Winter is a great time to spend more time in the kitchen, so try out some new recipes and cook up a storm. Plan stuff. Having positive things to look forward to can really help buoy your spirits during the depths of winter. That might be something as simple as having some pals over for a dinner party, enrolling in a short course, weekends away, a night out at the movies, or an afternoon spent at a traditional bath house soaking in a tub with a friend. It’s easier to feel isolated an less social during the winter months so be sure to schedule time with your nearest and dearest or make some new friends through courses, classes or group activities. Get help. If these tips don’t work, there could be other underlying issues at play so you might like to think about scheduling an appointment with one of our psychologists.